Should this really happen in a society that is rapidly going "paperless"? Probably not. A recent Rhode Island trial court solved - with relative ease - the case of the missing non-compete agreements. The dispute arose out of a competitive cheerleading and gymnastics business operating in East Greenwich (the geographic center of what the court called "this wonderful, if diminuitive, state"). The owners of the plaintiff, Aim High Academy, were able to recruit the Jessens (a husband/wife tandem, the wife being a 1988 Olympian for the former Czechoslovakia) to work as coaches for Aim High. Prior to this time, the Jessens ran a financially-troubled competitor in Connecticut. The treasurer of Aim High was concerned about the Jessens and made them sign non-compete agreements. However, when the Jessens were terminated in 2008, and after they started a competing gym in Warwick, the non-compete agreements were missing from their personnel files. In addition to the usual arguments concerning enforceability, the court had to confront the question of whether the agreements were ever signed in the first place. The court had little trouble discounting the testimony of the Jessens and another ex-Aim High employee who started the Jessens' Warwick facility despite having no coaching credentials. It concluded the Jessens had in fact signed the agreements at or around the time of their employment. 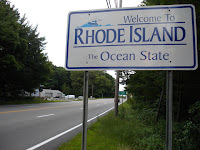 Those agreements both contained covenants against any competitive business activity for one year following termination of employment within the entire State of Rhode Island. This was an important trial court finding, since the Statute of Frauds would have barred enforcement of an agreement that could not be performed within one year. In Rhode Island, as in most states, an oral non-compete for 6 months is permissible, but not one extending a year or more. The court, concluding the Jessens signed non-compete agreements, issued a preliminary injunction against business competition for the entire year. (Since the order was preliminary injunctive relief, it could be modified and the injunction dismissed if the dispute is ripe for final decision before the one-year period lapses.) It did, however, modify the non-compete agreements based on the overbreadth of the language. 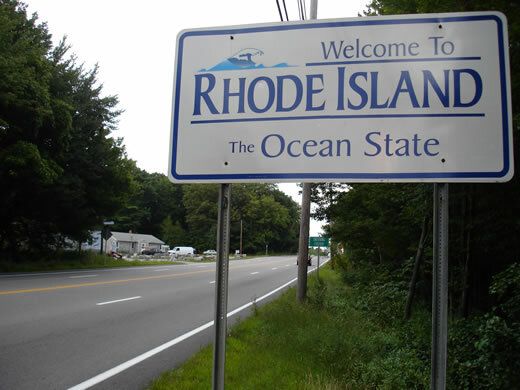 The court found that the geographic restriction extending to the entire State of Rhode Island was too broad and pared the scope back to 15 radius miles from Aim High's East Greenwich facility. The court also upheld the non-disclosure provision in the agreement and managed to interpret that clause as a restriction against customer solicitation. How the court reached this conclusion is somehow unclear, but it found that customer information and coaching/training information was proprietary to Aim High. Apparently, it dovetailed a non-solicitation restriction out of this confidentiality clause. But, it did allow the Jessens to accept business from Aim High clients as long as they did not actively solicit them. Under the court's reasoning, passive acceptance of business from customers would not implicate the use of confidential information. The decision is significant because it demonstrates that attorneys should advise clients to store (and password-protect) digital copies of key personnel documents. This would avoid an evidentiary problem if an employee is cunning enough to raid his or her personnel file. The decision also is significant in that it is sort of a poor-man's inevitable disclosure case; the court used a confidentiality clause to impose a customer-based restriction on an employee.